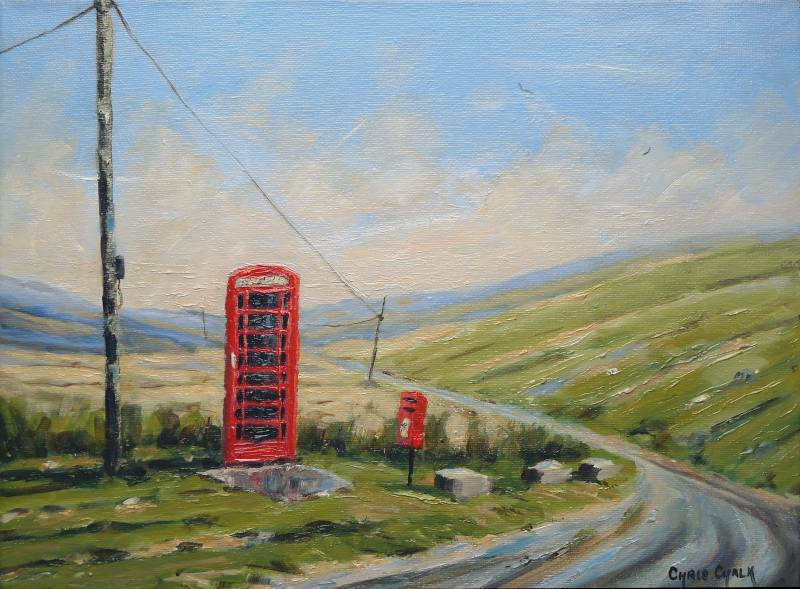 A painting of a red UK phone box, and a scene I've painted before, but it makes such a great painting I enjoyed painting it again. Reputed to be the most remote phone box in Wales, it's situated on the mountain road between Tregaron and Abergwesyn. "Calling Long Distance - The Most Remote Phone Box in Wales"